Best Women's Apparel: Leaf and Petal. Peninsula Beauty has all the tools you need to look like your favorite Marvel superhero — or DC villainess. This shop satisfies any beauty buff with its substantial line of all things cosmetic: nail polish, hair dye, lipstick, hairspray, eye shadow, pomade, oh, and even some face masks. It's easy to find a powerful product that will leap to the rescue of damaged hair or a skin cream that will help stop wrinkles in their tracks. Maybe you'll discover a new sunscreen that will protect your face from UV rays' forces of evil and save the day! From conditioner to skin care to candles, this store has everything for those trying to up their self-care game. A little tip: If you visit on your birthday month, you get a free bottle of nail polish. Sure, the Batmobile is kind of cool, but is it eco-friendly? Portable? A good way to get fresh air and exercise? To cruise the city streets and rolling hills of the Peninsula in style, you need a bicycle, and readers have chosen Mike's Bikes as the best place to nab one. With a big selection of brands and types, including road bikes, mountain bikes, electric bikes and kids' bikes, plus a skilled staff to offer tune-ups, Mike's Bikes will have you cycling like a pro in no time. Kepler's Books has been a mainstay of the Peninsula's literary scene for decades, and now it appears it has expanded its reach well beyond Menlo Park and into galaxies far away. This year, Lonely Planet included the shop on its list of "bookstores worth traveling for." According to Praveen Madan, CEO of Kepler's Books and a member of the Kepler's Literary Foundation, the Kepler's known to the community is two community organizations: Kepler's the bookstore, a for-profit enterprise, and the Kepler's Literary Foundation, a nonprofit headed by Jean Forstner that hosts hundreds of free and ticketed events each year in the community — many of which happen inside the bookstore. Best Jewelry store, Boutique/Gift Store: Shady Lane. You may not have X-ray vision, but why not give your eyes the glasses they deserve? Lux Eyewear is your one-stop shop for all things vision related — from eye checkups to lens replacement. Knowledgeable opticians are available on site to give you the facts on a variety of eyewear options, including luxury brands like Salt and Tom Ford. Need your frames in a flash? Lux's in-house optical lab can process prescriptions in as little as two hours. Tell them Clark Kent sent you. Who's your hero? Buy them flowers to thank them for fighting the evil in your life. Whether you're in the market for a modest bouquet, a prom corsage or even a potted bird of paradise plant, Barron Park Florist offers a variety of arrangements for any occasion. Located on El Camino Real, this quaint flower shop expanded into the Barron Park Market in 2004, where it's known for its quality plants and flower arrangements. Pretty flowers aren't all you'll get here, though — Barron Park Florist is commonly lauded for its friendly service by satisfied Yelp reviewers. 3876 El Camino Real, Palo Alto, 650-493-2700. They might not wear capes or leap tall buildings in a single bound, but employees at Hassett ACE Hardware in Palo Alto likely have the supplies to scale — or build — any edifice. From rope to hardware, tools and garden supplies to barbecues, Hassett has it all — and much more. Hassett's friendly staff will special order what customers need, match that hard-to-find paint color and find the oddball-sized screw or nail. Family-owned since 1957, Hassett is a Palo Alto institution and a true partner with the community. Hassett also has other stores in Belmont, Half Moon Bay, Redwood City, San Jose and San Mateo. Runner-up: Barron Park Supply Co Inc.
Wonder Woman's bracelets repel bullets; the Green Lantern wears a ring that gives him superpowers. Why not find your own personal and empowering piece of jewelry? 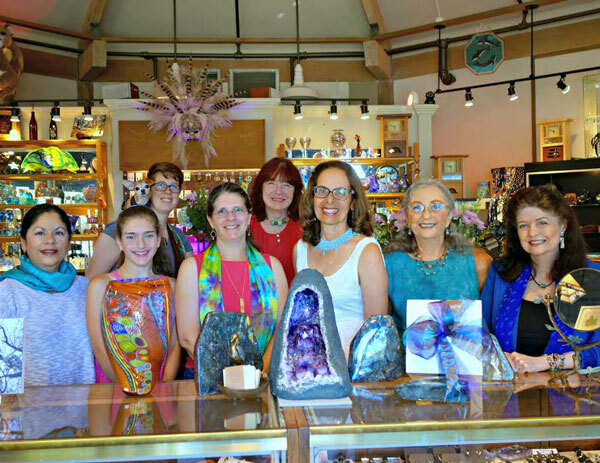 From handcarved Zuni necklaces and luminescent art glass to troll beads, Menlo Park's Shady Lane has one-of-a-kind pieces for that special someone or fantastic you. Don't forget those scarves, specimen rocks and crystals. Tired of hiding out in your Bat Cave waiting for your next mission? Maybe it's time to step outside and smell the flowers.SummerWinds has everything you'll need to get your garden fix, including compost, potting mix, outdoor decor and tools like trowels and gloves to bare-root fruit trees, native grasses, veggie plants and flower hats will make your garden POP! Your furry sidekick may never be able to run at the speed of light, but he might be able to pull off a back flip that will earn him a treat from Pet Food Express. With a line of high-quality food, toys, grooming tools, bedding and a self-service bath facility, this store is like the Wakanda of pet product marts. The California-based chain also facilitates adoption and rescue events. The Middlefield Road location has a community veterinary clinic, which offers vaccinations, pet micro-chipping, standard blood testing, prescription flea and tick control and more every Saturday from 1:30-3 p.m. Feeling like Flash? Speed by this popular California Avenue gem for a coffee and stick around for the shoes, the shirt, the visor and everything else you need to become the master of the trail. With its friendly and knowledgeable staff, its fine selection of running wares and its reputation for the best latte on the block, ZombieRunner has earned a cult following from runners and coffee-guzzlers alike. From the outside, it might look tiny, but Letter Perfect, is still "Saving the world one greeting at a time," as its motto states. This icon of downtown Palo Alto, with its white facade, small-pane windows and gold lettering, has made personalized customer service its trademark. The store offers greeting cards and stationery for all needs, from modest to lavish. A Letter Perfect card and wrappings can make someone feel special. And since the pen is mightier than the sword, it offers a fine selection of personal journals and writing instruments. But that's not all. The store offers numerous toys, games, leather goods and other special gifts. Letter Perfect has been a Best Of winner throughout the years. Whether you're looking to be the next Superman or Wonder Woman, chances are you'll be able to find what you need at Ambassador Toys. Filled floor to ceiling with boxes of puzzles, games, kits and even a train table, this toy store is chockfull of classic toys and new choices from a variety of different countries. Board books, picture books and non-fiction books about nature line the bookshelves, and collectible character dolls stand protected in a glass case while stuffed Folkmanis puppets sit ready to be touched and tried out. This store offers myriad toys, books, games and arts and crafts for babies through middle schoolers. Customers say plainly that this place has "stuff kids will love." You don't have to be a superhero to have your own signature look. 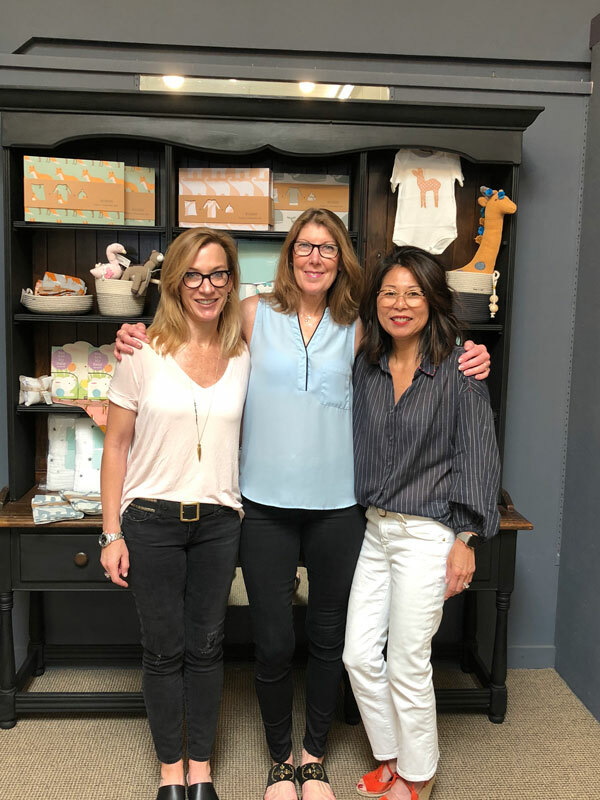 With high-quality brand-name clothing, artisan jewelry and modern shoes, Leaf & Petal has been helping customers find outfits and accessories that express their style since 1976. Praised by customers on Yelp as "friendly" and "a delight," it's no surprise that the Leaf & Petal is Palo Alto's favorite local boutique.